Joseph Francis Mazzello III (born September 21, 1983) is an American actor, director, and screenwriter. 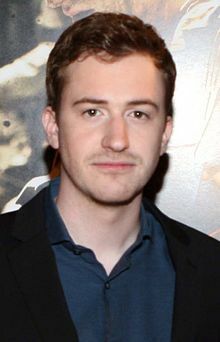 He is best known for his roles as Tim Murphy in Jurassic Park, Eugene Sledge in the HBO miniseries The Pacific, Dustin Moskovitz in The Social Network and Queen bass player John Deacon in the biopic Bohemian Rhapsody. Mazzello was born in Rhinebeck, New York, and raised in Hyde Park, New York, the son of Virginia (née Strong) and Joseph Mazzello, Jr., who owned a dance studio. He has one older sister, Mary, and a younger brother, John, who have both appeared in films. His father is of three-quarters Italian and one-quarter German Jewish ancestry, while his mother is of Irish and English descent. Mazzello went to the Catholic school Our Lady of Lourdes. He is an alumnus of the University of Southern California, entering the USC School of Cinematic Arts in 2001 following a recommendation letter from director Steven Spielberg. Mazzello paid for school with his salary from a small appearance in The Lost World: Jurassic Park (1997), something the actor jokingly referred to as his graduation present from Spielberg. Mazzello (left) with Rami Malek and Gwilym Lee promoting Bohemian Rhapsody in 2018. Mazzello's first film appearance was a small role in Presumed Innocent (1990), starring Harrison Ford. He followed up that success with a supporting role as an abused child in the drama Radio Flyer (1992). He also appeared in "Unspeakable Acts". His most notable roles were as Douglas Gresham in Shadowlands and Tim Murphy in Jurassic Park, both in 1993, Dexter in the 1995 film The Cure, and Eugene "Sledgehammer" Sledge in the HBO miniseries The Pacific. In 2010, Mazzello played Dustin Moskovitz, one of the co-founders of Facebook in the David Fincher-directed film The Social Network. Mazzello starred as John Deacon in the 2018 Queen biopic, Bohemian Rhapsody. Mazzello made his directorial debut with the short film Matters of Life and Death (2007) in which he also stars; the cast includes David Strathairn (with whom he has worked in The River Wild (1994), Simon Birch (1998), and The Sensation of Sight (2006), Daniel Gillies, and Rachael Leigh Cook. 2003 CSI: Crime Scene Investigation Justin Lamond Episode: "One Hit Wonder"
2004 Without a Trace Sean Stanley Episode: "Legacy"
2016 Elementary Griffin Episode: "A Study in Charlotte"
^ "Joseph Mazzello Biography (1983?-)". filmreference.com. ^ "ISSUU - 2-9_HudsonValleyNews by Hudson Valley News". issuu.com. Retrieved April 5, 2014. ^ "Joseph Mazzello - Biography - IMDb". IMDb. Retrieved 2014-04-05. ^ Rorke, Robert (May 2, 2010). "Spielberg's Protégé". New York Post. Retrieved April 27, 2012. ^ Chi, Paul (April 5, 2013). "Jurassic Park Kids: Where Are They Now?". PEOPLE. Retrieved March 5, 2019. ^ Busch, Anita (August 21, 2017). "Queen Pic 'Bohemian Rhapsody' Finds Bandmates In Ben Hardy, Gwilym Lee & Joe Mazzello". Deadline. Retrieved August 21, 2017. Wikimedia Commons has media related to Joseph Mazzello.